Placing an order for “carrot cake” with a wizened man with a wok, it’s hard to imagine that anyone would expect a slice of cake with cream cheese icing. The name of this classic Singapore hawker dish isn’t meant to deceive; it’s simply the result of a direct translation from Mandarin. The main components of Singaporean carrot cake are daikon (‘white carrot’) and rice flour dough (‘cake’) fried with egg, garlic, and spices. Chilli is optional and diced scallions are added at the end. If done just right the result is a savoury dish that’s crispy on the outside but melts in your mouth. 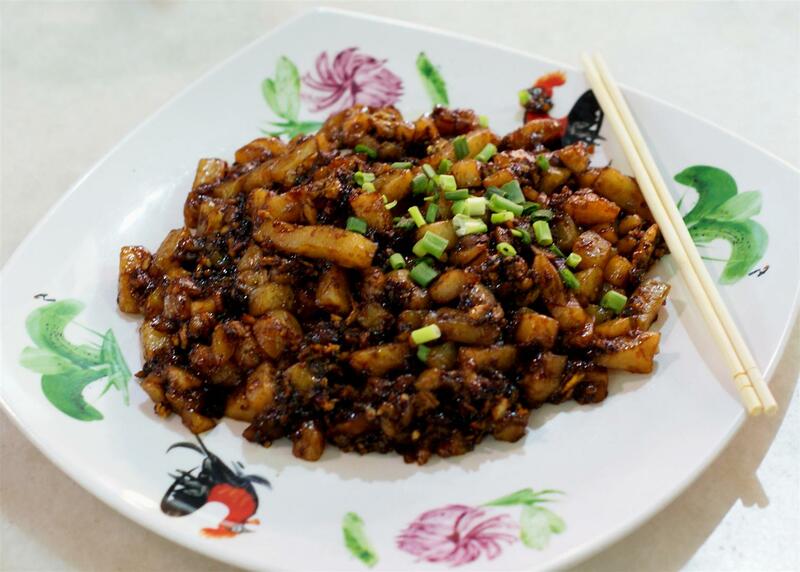 There are two varieties of carrot cake – black and white – and most Singaporeans have a definite preference. Thick soy sauce is added to the black variety to give it its colour and extra sweetness. The white variety is eggier and is stirred less so it almost resembles an omelette. 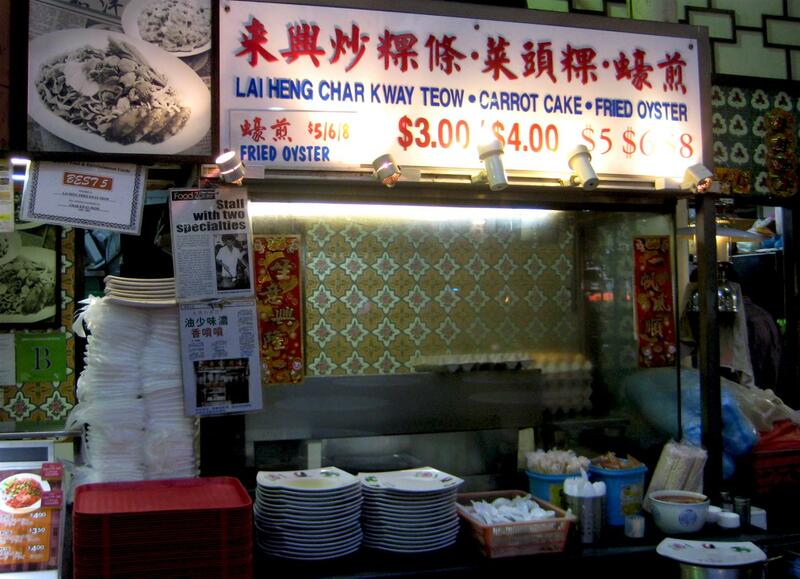 Some hawkers put their own spin on this classic by adding prawns. Carrot cake is a staple at Singapore hawker centres and you won’t have to look too hard to find someone selling it, usually priced at S$3 or S$4 for a small plate. It’s equally popular for breakfast and supper, so Singapore’s best known carrot cake stalls tend to open early and close late. My personal favourite is from Lau Pa Sat, but other reliable spots for a satisfying plate of carrot cake are Newton Circus, Maxwell Food Centre, and Food Republic food court at Wisma Atria mall on Orchard Road.